What to eat in Cinque Terre? 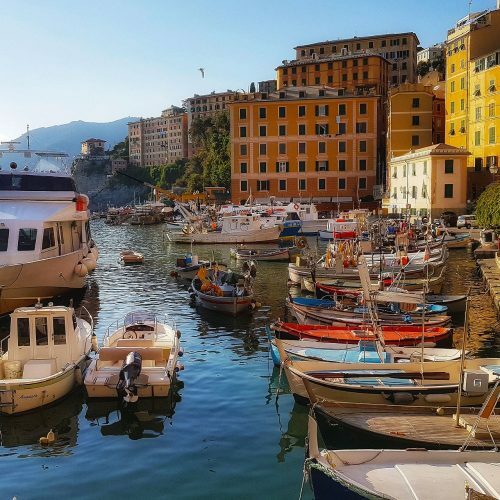 Visiting the Cinque Terre is not only a feast for your eyes, but also for your taste buds. If you have been in Liguria or have read about regional cuisine, you certainly know about the iconic pesto sauce and the focaccia flatbread. Although you should not miss the chance to eat them when in Monterosso, Vernazza, Corniglia, Manarola and Riomaggiore, pesto and focaccia are typical specialties from Genoa. What can you eat in Cinque Terre that is genuinely local? Here is a list of typical food and drinks for you to try during your next foodie break in the Italian Riviera. The silver-bright acciughe of Cinque Terre are simply unique. Even if you are not a fan of this type of fish, you should try them fresh here. A special mention goes to the anchovies from Monterosso, which are famous in Italy for their exquisite quality. 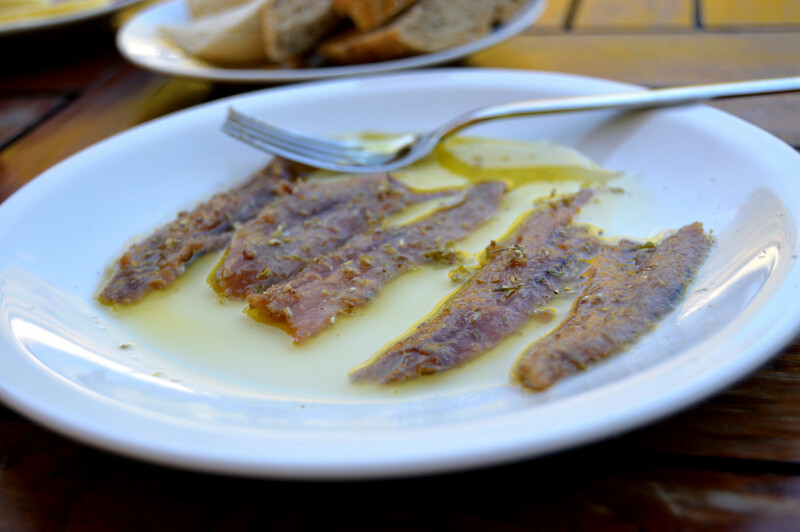 Locals enjoy eating anchovies in different ways: raw with a trickle of olive oil and lemon; raw with oregano, parsley and garlic; stuffed; fried; or cooked with potatoes. Did you know that Riviera Ligure is an extra virgin olive oil with the Protected Designation of Origin (D.O.P.in Italian)? The Riviera del Levante, or eastern riviera where the Cinque Terre are located, is one of three areas where it is produced. Thanks to the ideal conditions, the olives that grow in the Cinque Terre National Park are distinctive, and they produce an olive oil that is superb. Basil, rosemary, thyme and marjoram are some of the aromatic herbs that grow in the Cinque Terre National Park and that will season most of the dishes you taste here. 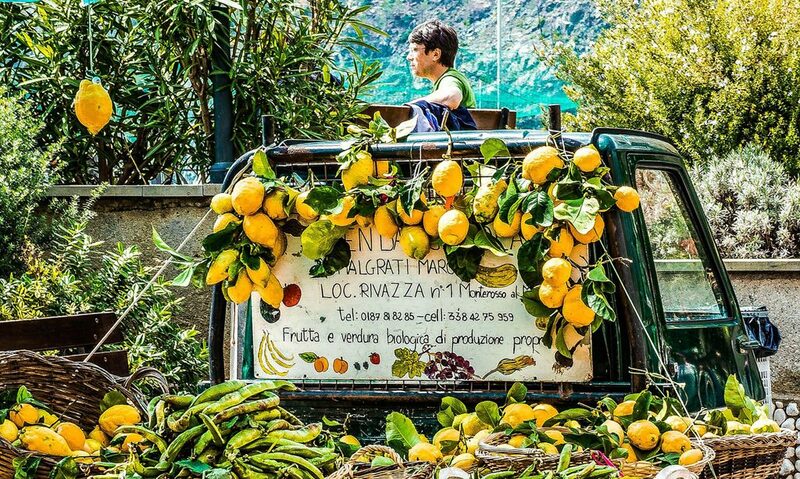 The Cinque Terre, and particularly the area around Monterosso, are home to numerous acres of fragrant lemon groves. Make sure to try a local limoncino liqueur, made using the peels of Cinque Terre lemons. This citrus fruit is also used to prepare delicious homemade jams and sorbets. The most unique and prestigious wine is called Sciachetrà: made with dried grapes grown in the vineyards of Cinque Terre, it is a sweet wine, somewhat like a liqueur. It blends in very well with desserts! It has the D.O.C. (Denominazione di origine controllata) quality label, just like the other famous local wine, known simply as Cinque Terre. 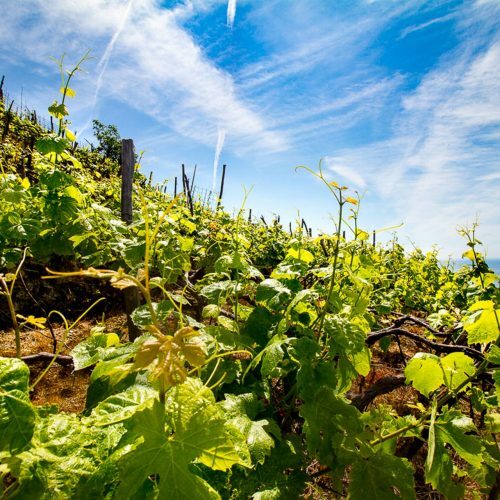 Apart from enjoying wine during lunch or dinner, you can learn about the ancient tradition of heroic viticulture with a vineyard visit and guided wine tasting. Muscoli ripieni are mussels farmed in the Gulf of La Spezia and stuffed with seasonal vegetables or with eggs, mortadella and cheese. Torta di riso di Monterosso is a traditional rice pie prepared in occasion of the Feast of the Madonna di Soviore on 14 August. It is composed of puff pastry, water, wine, cooked rice, oil, eggs and parmesan cheese. Looking for some healthy fried food? Try these fish fritters: frittelle di baccalà and frittelle di bianchetti. Pandolce is a typical fruit cake in Liguria, but in Cinque Terre you can eat it with a twist: try it with sciachetrà! Other specialties that are characteristic of Liguria’s cuisine in general and are great choices at restaurants in Cinque Terre are the famous pasta al pesto (especially with the trofie and trenette types of pasta); ricotta-and-spinach-stuffed pansotti topped with walnut sauce; and the farinata pancake made with chickpea flour. And… what about some private cooking lesson?